Stella McCartney in conversation with Graydon Carter. 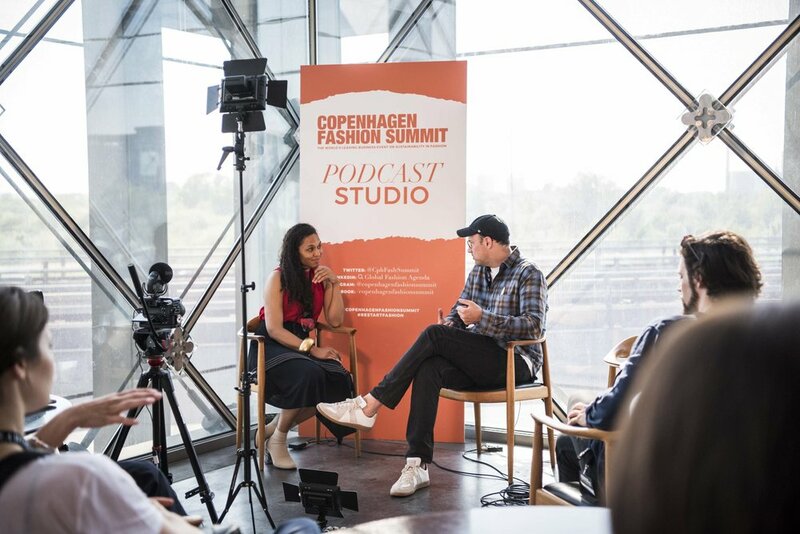 On May 15-16, 2018, together with over 1300 participants from more than 50 countries and a diverse range of fashion industry backgrounds, we attended the sixth edition of Copenhagen Fashion Summit as media guests. 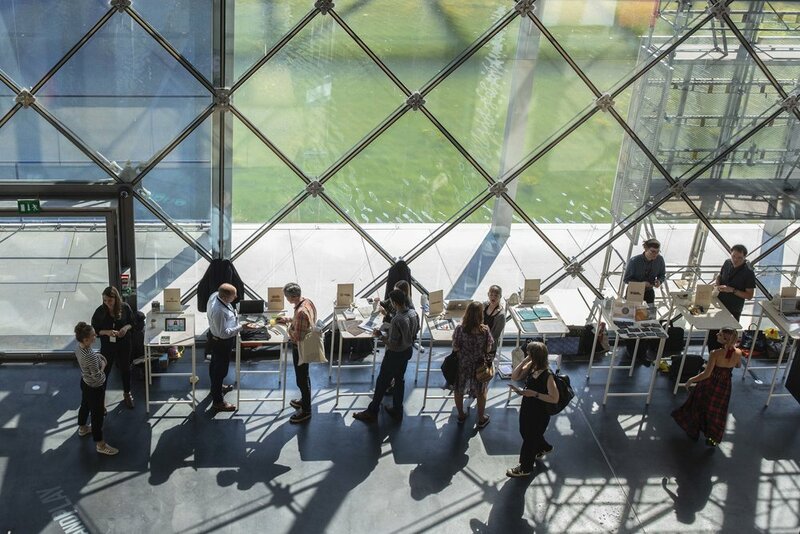 This year, the summit took place as an extended two-day event to allow participants more time to gain knowledge, make connections, and discover innovative solutions for a sustainable fashion industry. 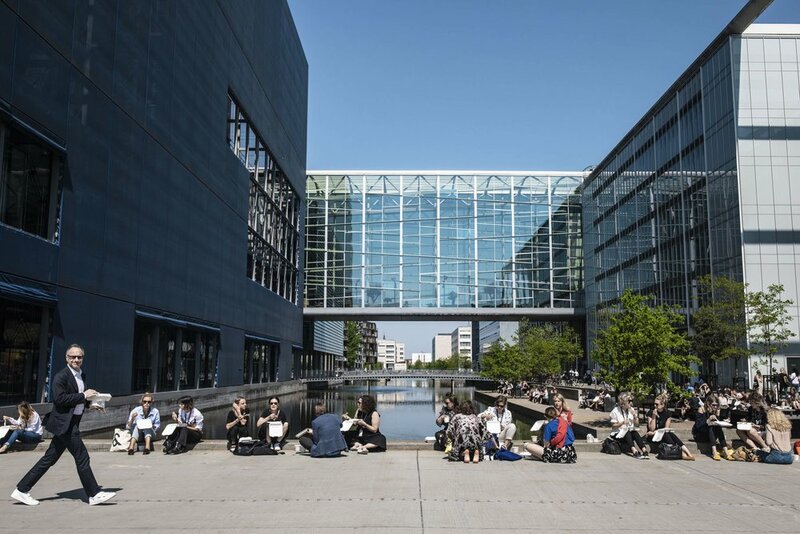 Since its first edition in 2009, Copenhagen Fashion Summit has established itself as the world’s leading business event on sustainability in fashion, setting the agenda for discussions on the most critical environmental, social, and ethical issues facing the industry and planet. 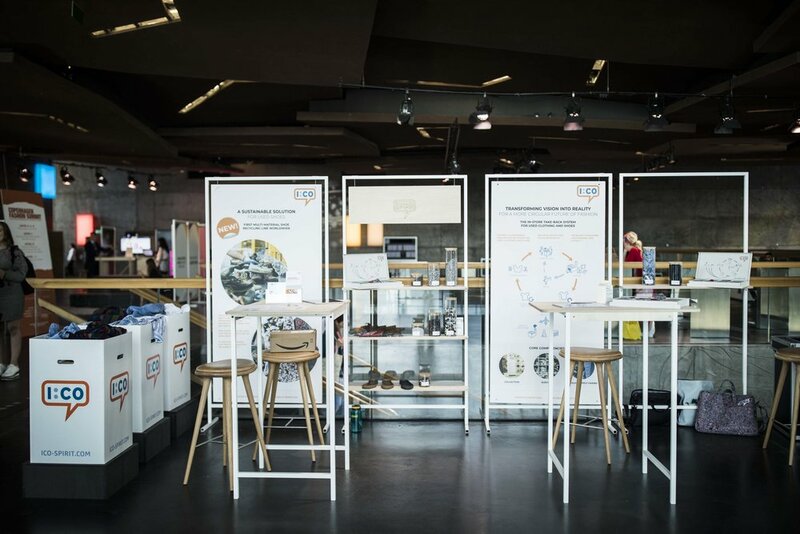 This year, the event was equally about sharing information and inspiration on stage as it was about meeting people and sharing experiences throughout the venue, at the stands of the newly developed Innovation Forum, in speed dating sessions with solutions providers, and during lunch and coffee breaks. And what a buzz it was! An event, encouraging strangers to connect and potentially collaborate, that in itself can be seen as a great success and much needed to transform the industry. The CEO Agenda resulted from an industry request for guidance and an expressed need for a common industry focus. After the publication of last year’s “Pulse Of the Fashion Industry” report, that measured the industry’s sustainability performance, not only fashion companies with no sustainability roadmap but also companies who were already taking action conceded “that sustainability is too big a challenge for any one company to tackle by itself, and that it will take a joint effort by the industry as a whole to focus on the biggest challenges”(CEO Agenda 2018). The starting point is traceability: A brand’s journey towards sustainability must begin with the tracing of complex supply chains by mapping their often global suppliers. Generally speaking, traceability refers to the degree with which a business is able to track a product’s development, beginning with raw materials and ending with delivery to the final consumer. Transparency, on the other hand, captures the extent to which information about the companies, suppliers and sourcing locations is readily available to end-users and other companies in the supply chain. Directly linked to the ethical side of production and to fair and safe working conditions are the purchasing practices of brands and fashion corporations. Poor planning, tight deadlines, last minute design changes and the squeezing of budgets put immense stress on suppliers. Those practices are increasing with the speed-up of the industry and are the cause of forced overtime for factory workers, who are the most vulnerable players of the production process. It also leads to illegal subcontracting—often because the workload can’t be done to the increasingly tight deadlines demanded, and factories’ fear losing contracts. Discussing Industry Purchasing Practices: Moderated by Tyler Gillard (OECD’s Investment Division), in conversation with: Arne Lietz (member of the European Parliament), Bill McRaith (PVH), Catherine Chiu (Crystal International Group Limited), Christina Hajagos-Clausen (IndustryALL Global Union), Shelly Gottschamer (Outerknown). For the first time, the summit programme also discussed the well-being of models, another unregulated and often underage and vulnerable labour force of the industry. In the past few years, casting director James Scully has been instrumental in exposing mistreatment, harassment and exploitation of models by model agents, photographers and other casting directors and in increasing the urgency to safeguard the health of models. As a board member of the Model Alliance, he now works together with Sara Ziff, founder and executive director of the non-profit research and policy organisation that advances fair treatment and equal opportunities in the industry. One topic that everyone seemed to agree on at this year’s summit, is the importance to move from today’s linear system of “take, make, dispose” to a circular economy. According to the Ellen McArthur Foundation, that launched its new “Make Fashion Circular” initiative at the summit, clothing production has approximately doubled in the last 15 years and more than half of fast fashion produced is disposed of in under a year. Currently, 73% of the world’s clothing eventually ends in landfills, less than 15% of clothes are collected for recycling, and less than 1% of the material used to produce clothing is recycling into new clothing. Many of today’s products are designed with neither durability nor recycling in mind and often consist of mixed fibres that are difficult to disassemble. In a closed loop system, materials and products are designed with high-quality and end-of-use in mind, they are recycled to prevent waste and generate additional value through new repair and resale services such as The Renewal Workshop and the likes of Vestiaire Collective. However, a better system for the collection of used clothes is needed, and industry organisations and governments must invest in the development of innovative technologies that will allow them to turn textile waste into new, high-quality fibres in non-toxic and water and energy-efficient processes. Although an increasing number of companies are exploring circular models, progress is slow as the infrastructure required for a close-loop fashion system does not yet exist and new solutions need investment to scale. Why does it matter that we adopt a circular economic system? Basically, because the linear system will soon reach its physical limits. Land and fossil fuel are finite resources and water is becoming increasingly scarce, whilst at the same time the world's population is growing rapidly. The current practices are destructive to both industry and our planet. The fashion industry is in the midst of a digital revolution, with technologies such as automation and the Internet of Things transforming the way clothing is produced and distributed. According to the World Economic Forum, robots are expected to carry out 25% of all manufacturing by 2020. Currently, the extent of the transformation caused by the fourth industrial revolution is hard to predict and holds opportunities as well as challenges. Technological advances that improve accuracy, productivity and transparency could help reduce energy use and waste. Digitisation could enable customisation at scale. Due to technologies such as 3D printing and in-store heat moulding, made-to-measure clothes and shoes could soon become ubiquitous. At the same time, automation will claim jobs and in some countries up to 90% of garment workers stand to lose their jobs. The industry must take responsibility for its workers and start investing in their training and re-skilling. Considering the magnitude of this change, it will take a collective effort by the whole industry and public policy makers to prepare for the effects on entire workforces and develop a model of responsible automation. The Summit 2018 saw the launch of a brand new format, The Innovation Forum, specifically created to support the industry’s request for more guidance. Ranging from cutting edge to tried and tested, the exhibition area showcased a large variety of more than 40 new solutions providers for a circular fashion system: from a global take-back system for recycling by I:CO to new recycling solutions for mixed fibres by Osomtex and Tyton, and from blockchain-based supply chain tracking systems by TrusTrace and bext360 to a diverse range of behaviour-influencing technologies by Good On You, Save Your Wardrobe and Style Lend, to name a few. By talking to the exhibitioners and looking at the innovations on display, it becomes apparent: there are plenty of solutions out there but they need both substantial investment in order to scale and also global legislation that supports the transformation from a linear to a circular system. “We need a higher level of ambition than ever before (...), an unprecedented level of innovation and collaboration”, as in the words of circular economy though leader Ellen McArthur, “to take these ideas and new ways of working and scale them—that is the only way we can make a circular economy for fashion a reality”. 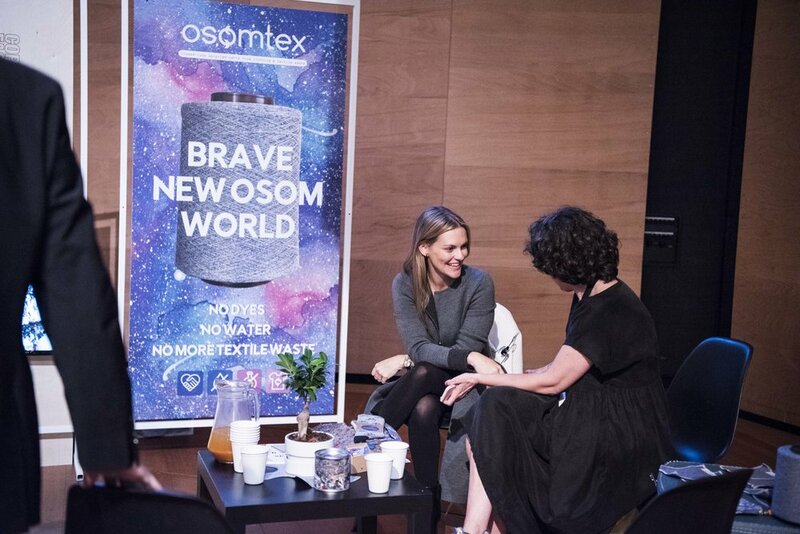 OSOMTEX creates upcycled yarns and fabrics from textile waste in a process that uses no water, no dyes and no harsh chemicals. “Technology offers solutions, but leadership sets the speed of progress and adoption. Leadership starts with you, today,” David Roberts, faculty member of Silicon Valley think tank Singularity University told the summit. We believe, when a change of such systemic dimensions is needed, the call is on all of us to act and take agency. After attending this year’s summit, the words of EU commissioner for competition, Margarethe Vestager, still linger: “It’s no longer a lonely endeavour, it’s a collective endeavour,” and that gives us hope. You can watch a wide range of the Copenhagen Fashion Summit talks and keynotes here and find more information on the summit, the detailed programme and all speakers here. The “Pulse Of the Fashion Industry 2018” can be downloaded here and the “CEO Agenda” here.